Product Description: The roar of the monster wolf. 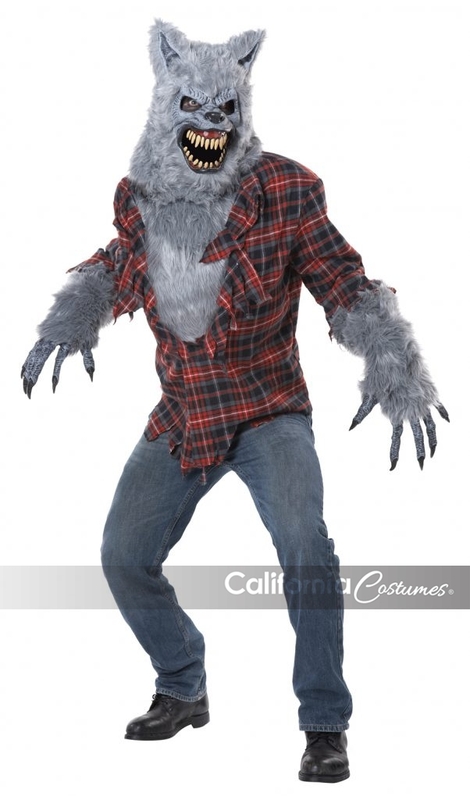 The Gray Lycan costume includes, mask, plaid shirt with attached faux fur chest and arms, and faux fur trimmed character gloves. 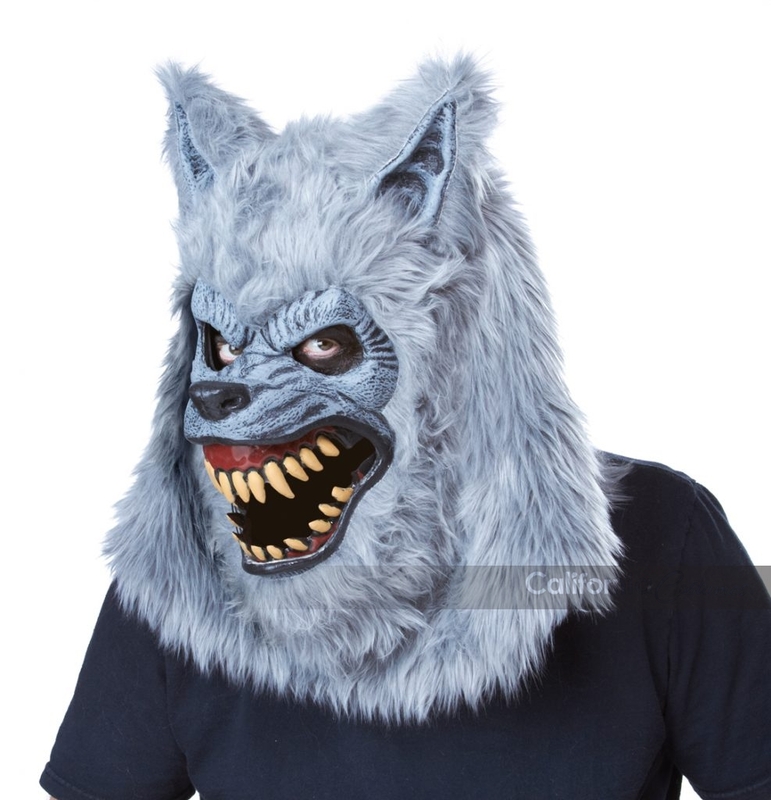 Ani-motion wolf mask features a snarling motion. The mask is composed of a faux fur hood attached to a plastic back face piece with a foam over layer. 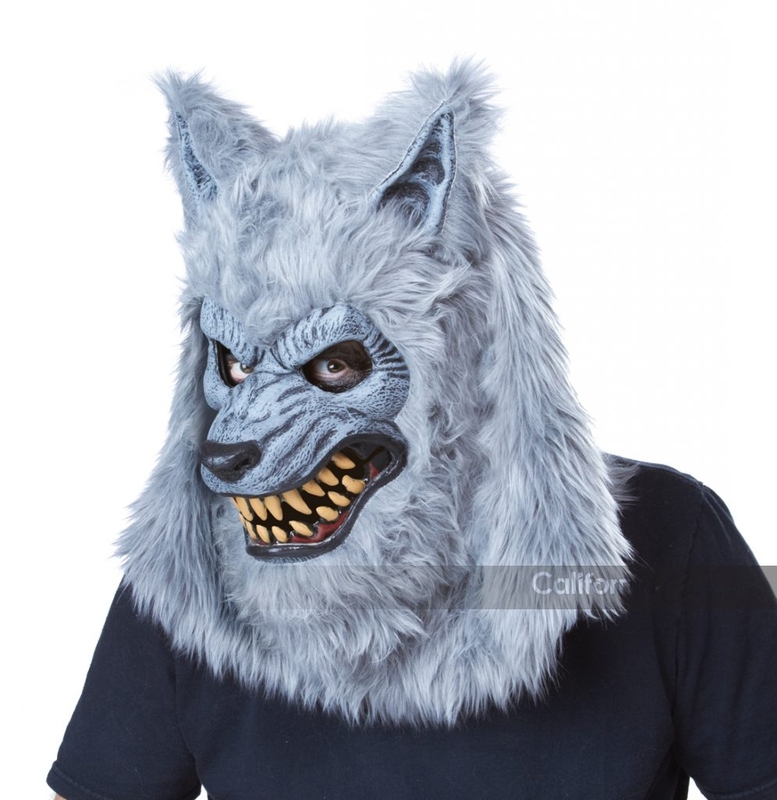 The wearers jaw movement opens the mask's mouth and retracts the lips into a snarl. Once the wearers jaw relaxes the mask resets.